Add some muscle to your desert commute with a Dodge lease in Alamogordo, New Mexico, from Jack Key Motor of Alamogordo. If you love the experience of driving a new car or SUV, but would rather leave the responsibility of long term maintenance to someone else, a car lease could be the auto finance solution for you. A Dodge lease typically requires less money down at signing, and comes with a lower monthly car payment than with a traditional car loan, so you can enjoy more car for the money. A lease works best if you drive fewer than 12K miles annually, and can commit to the length of the agreement. Contact the dealership to learn more about an auto lease on a new Dodge vehicle. Take advantage of Chrysler Capital car financing to lease an exciting Dodge Charger, four doors of raw power and driving thrills. If an SUV is more your style, the Dodge Journey brings versatility and value to the table, while the Dodge Durango sports fabulous technology and plenty of off road brawn. In the market for a people mover with lots of cargo options in Alamogordo, NM? Check out the Dodge Grand Caravan, the passenger van with all the right moves. Get in touch to schedule your test drive at Jack Keys Motor of Alamogordo. 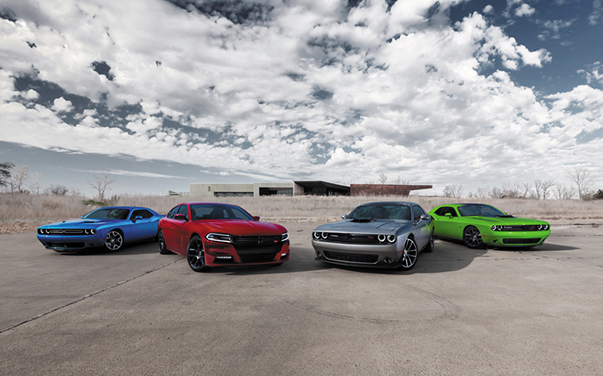 Prefer to make your Dodge Challenger your own? The finance center at Jack Key Motor of Alamogordo can get you there. Get an appraisal online for the trade in value of your current car, and get pre-approved. We'll set you up with the car financing that lets you roar off the lot in the Dodge vehicle of your dreams.